With more than 17,000 islands, 5 million square kilometers of sea and a total land area of almost 2 million square kilometers, Indonesia's geographical situation has proven to be a huge challenge for the transport and logistics operators. Indonesia's logistics performance is far from optimal, even compared to her neighbouring countries such as Thailand, Malaysia, and Singapore. Based on World Bank's biennial report of Logistics Performance Index (LPI) in 2016, Indonesia's rank fell 10 positions, from 53rd in 2014 to 63rd position. Meanwhile, Singapore, Malaysia, and Thailand ranked 5th, 32nd, and 45th respectively. The cost of logistics in Indonesia correlates with this result with a ratio of logistics cost to gross domestic product (GDP) recorded at 24%, almost double of other countries'. High logistics cost is a problem for any economy as it makes products and services less competitive, while foreign investors will think twice before making investments in the country. Indonesian government realises this and President Jokowi has pledged that his administration will invest in building more infrastructure and enhancing the existing one, including toll and non-toll roads, ports, railways, and airports. Chief Economic Minister, Darmin Nasution, stated that one of the important factors that should be considered in improving the current system would be the adoption of information and communication technology (ICT). Minister of Communication and Information Technology, Rudiantara, further emphasized the needs of developing relevant applications and integrating frontier technology to drive down logistics cost to around 15%. Aligned with the government, industry players in Indonesia have started to take initiatives to adopt ICT solutions as part of their digital transformation strategy to optimise their daily operations and improve customer experience. Port operators such as Pelabuhan Indonesia (Pelindo) and Cikarang Dry Ports are pushing for smart port initiatives to support President Jokowi's grand maritime vision, the Global Maritime Fulcrum. Pelindo I to IV have launched a collaboration to standardise their operations including document handling, accounting, and port management to drive down logistics cost. Pelindo III is especially aggressive in pushing for transformation. They have just launched an application called Home Terminal - this application is connected to the operating system of the terminal such as port activities, vessel service, logistics, and container management. Through this app, customers can directly monitor the vessels that carry their goods and settle port documentations such as customs and clearance too. The CEO of Pelindo III, Ari Askhara, stresses the importance of adopting technology as a focus in transforming Pelindo III. A fine example from Pelindo III would be Teluk Lamong Terminal where there are no physical documents, face-to-face administrations, and people queuing to settle fees and documentation. It is all done through an integrated system powered by artificial intelligence. 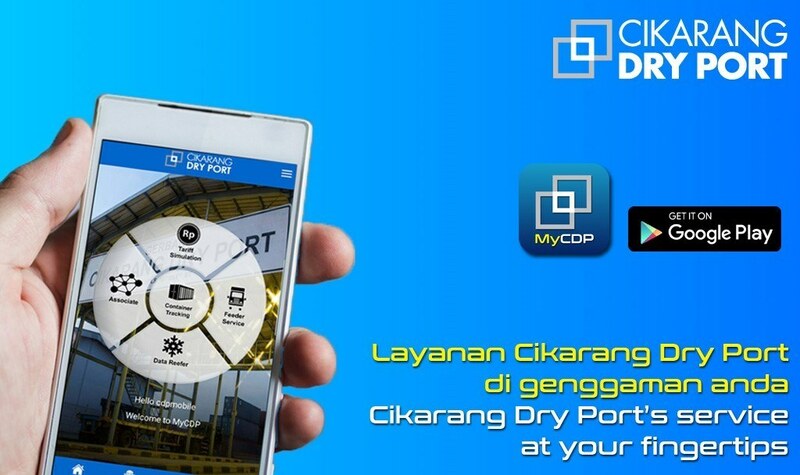 Cikarang Dry Port has also introduced a smart port concept to hasten distribution pace and improve customer experience. The CEO of Cikarang Dry Port, Benny Woenardi, mentioned that digital initiatives such as auto-gate system, e-Delivery Order, e-Billing, and e-Payment have been implemented to smoothen operation in the port. A one-stop mobile application called MyCDP (shown on the side) has been introduced too for their existing customers and partners. The smart port system envisioned by Benny would connect all stakeholders in the logistics ecosystem through cloud-based services which could facilitate data exchange and integration. Eventually, this would result in improved efficiency in the logistics sector manifested in a decreased of logistics cost and dwelling time. Airport operators in Indonesia are also in the race to digitally transform themselves. Angkasa Pura has the vision to develop the best smart connected airport in the region and applications called Indonesia Airports and iPerform have been launched by Angkasa Pura II as part of her digital transformation projects. Indonesia Airports app is developed with the aim to improve the customer's experience and journey at the airports, while iPerform is used by all employees of airports to streamline daily operations. Early this year, Angkasa Pura I launched the first Airport Operation Control System (AOCC) in Indonesia for Sultan Aji Muhammad Sulaiman Airport, Balikpapan, East Kalimantan. AOCC functions as a command center to monitor operational activity from both airside and landside which also include arrival and departure activities. The aim of this command center is to create an effective and efficient airport operational system which would decrease operation cost and improve the customer's experience. 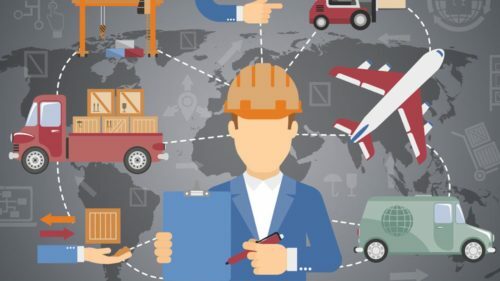 Aside from the operators of ports and airports, local private enterprises in the logistics sector such as Puninar Logistics have also recognised the importance of digital transformation. Puninar Logistics, which owns a fleet of barges, hundreds of trucks and hundreds thousand sqm of warehouses, have started to adopt cloud technology for their fleet and warehouse management system. Suyanto Tjoeng, director of Puninar Logistics, says that innovation and creating unique value-added services are critical to differentiate their services and stay ahead of the competition. By digitalising their operating system, they have managed to optimise their operations and improve customer satisfaction through a higher on-time delivery rate. They are also able to execute a complex logistics planning and scheduling through the system. An international logistics service providers such as DHL Supply Chain have also been continuously looking for digital innovation to keep their competitive edge. One initiative that is being explored by DHL Supply Chain is a platform to integrate all data points in their applications and utilise it to provide a complete visibility for their enterprise customers. Drop me a note at felix@industry-platform.com if you are interested to be part of this enterprise digital transformation conversation in Indonesia.